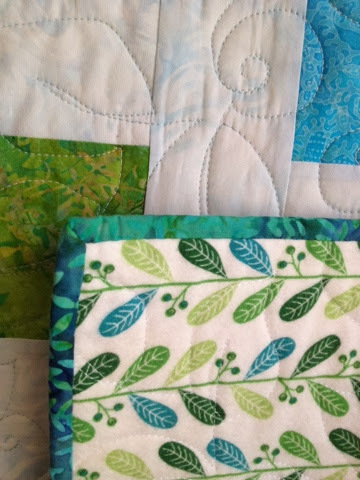 A couple of years ago my sister-in-law gave me a bundle of batik fat quarters that she had seen at a fabric store and thought I might like. (Usually my family members think I have too much fabric already!). I added to them a bit and this is the result. 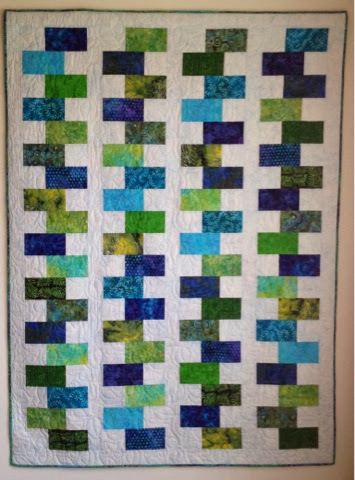 The quilting has been done by Lainey Wilkins of Powell River, BC. 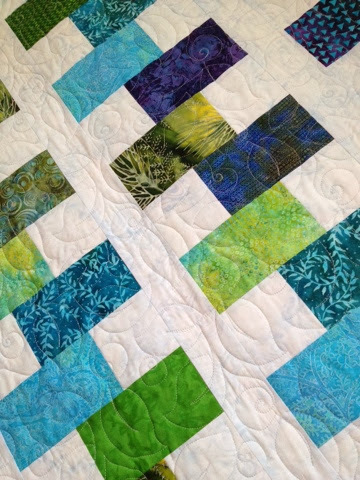 The leaf pattern works perfectly with the batiks and the backing (see below). 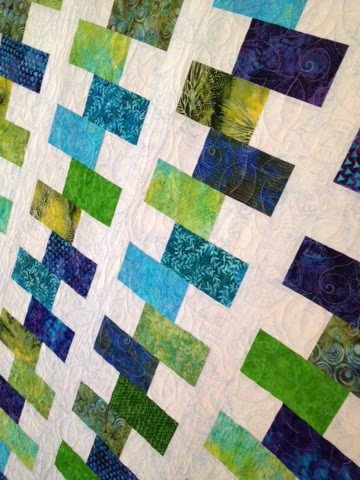 The backing is a flannel by Northcott called Reptile Rumpus (but no reptiles are actually in sight!). 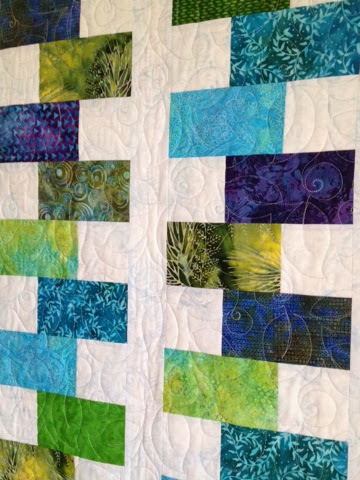 And I am enjoying my new quilt!! Although my children keep trying to get their hands on it, I've told them this ones mine! Gong Hey Fat Choy! Happy Chinese New Year!